X-ray technologist (sometimes called x-ray technician) training can be completed relatively quickly at a career college or trade school. Additional training is usually offered on the job in hospitals, physicians’ offices or diagnostic imaging centers (see: x-ray technologist job description). Radiography programs provide real-world skills that translate directly to the work environment, making x-ray tech programs useful in gaining entry-level employment. The links below provide information on x-ray technologist education and certification, as well as recommended schools for those seeking training. Explore the available information to find what you’re looking for. 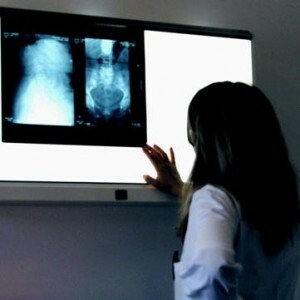 Is Recertification of X-Ray Technologists Mandatory?